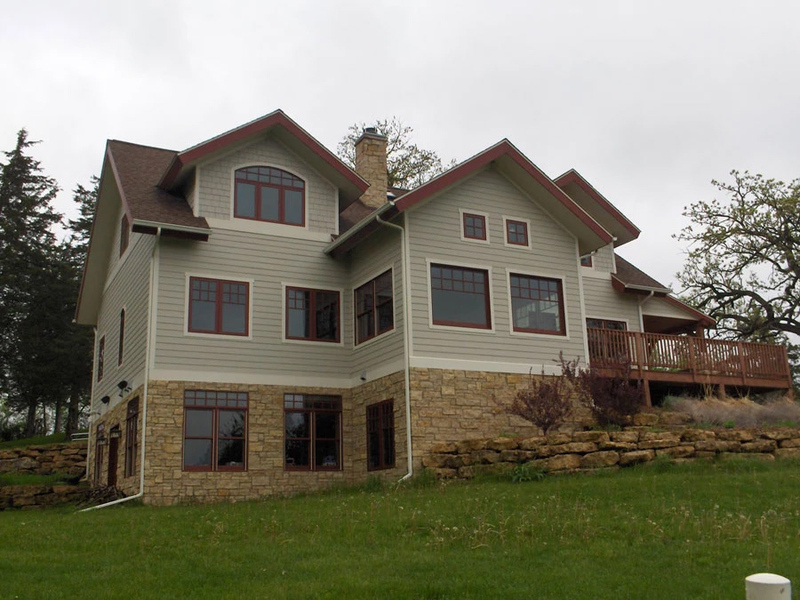 We work exclusively with SIPs from Enercept in Watertown, SD – the industry leader in insulated panels. Structurally insulated panels (SIPS) are the most common way we enclose our timber framed structures. 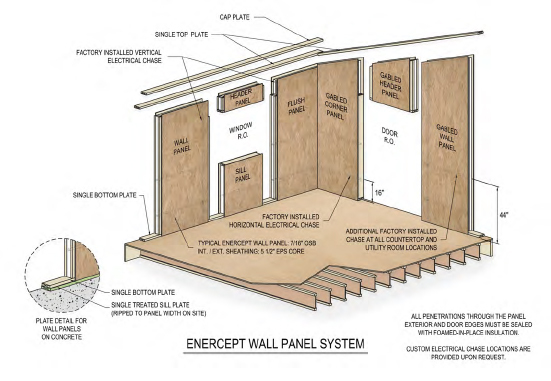 SIPs are prefabricated wall panels that include an insulated core sandwiched between structural wood products like OSB or plywood. 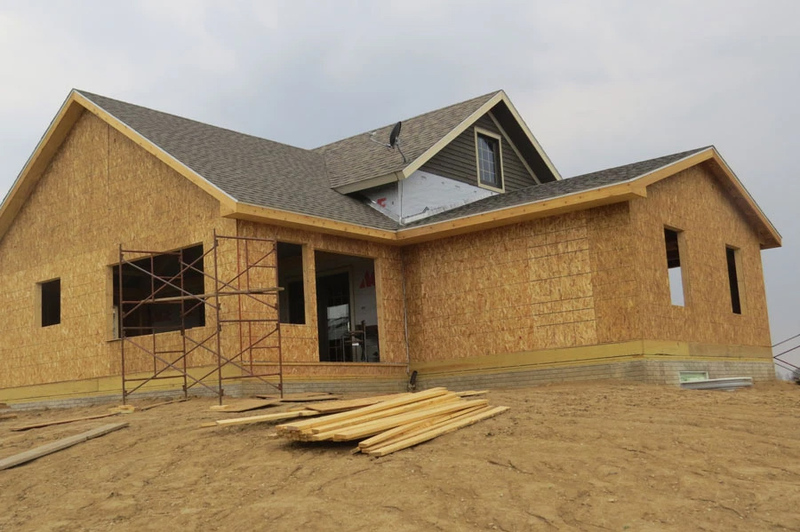 SIPs are customized to each project, delivered on site, and installed in place. 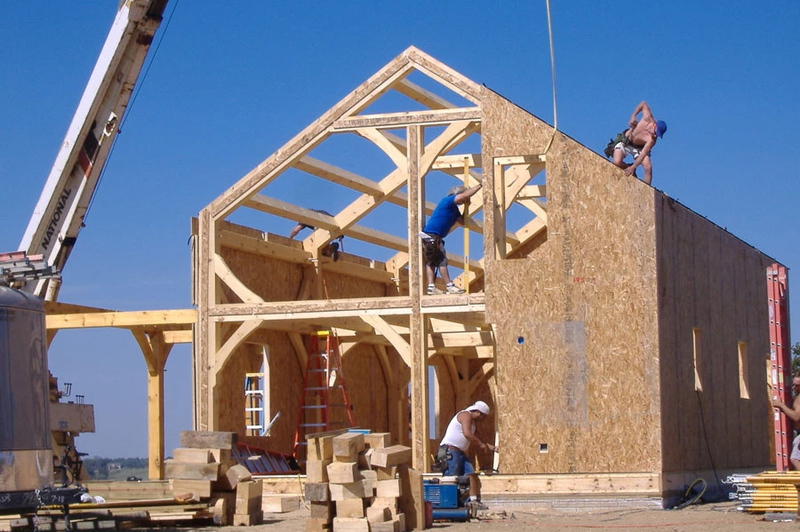 Benefits of using SIPs include faster construction, superior strength, energy efficiency, and less on-site waste. In the long run, SIP wall configurations are superior to on-site construction due to inconsistencies in field conditions and material limitations. With a pre-designed SIPs system, the final product matches the original plan. Panels are cut exactly to the home’s design at the factory by the manufacturer and then numbered for easy installation, which results in less wasted materials and resources. They’re energy efficient. SIPs cut heating and cooling consumption by as much as 60 percent over products used for conventional stick frame construction. 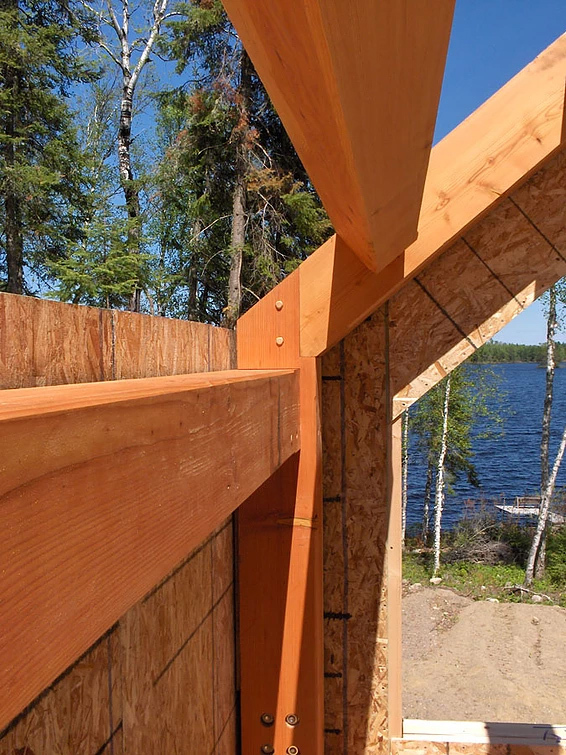 Even where wall thickness is the same, SIPs outperform stick framing on whole-wall energy performance by 40 to 60 percent. They offer increased soundproofing. 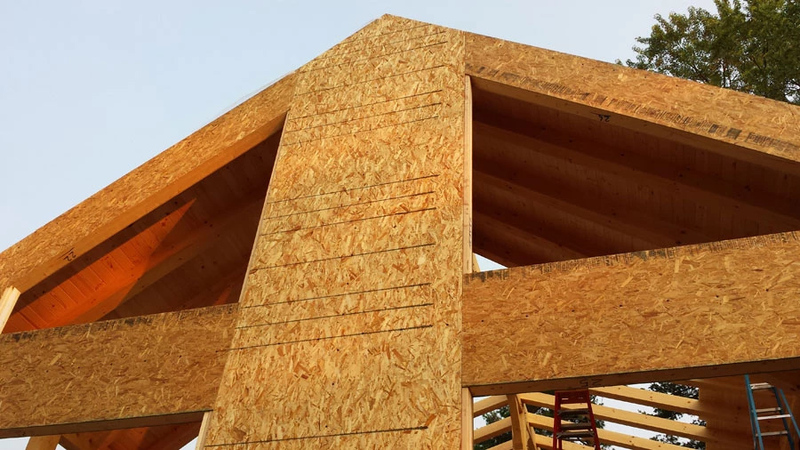 SIPs block sound like few other materials – a big perk, especially in bedrooms, dens, home offices, media rooms and homes with interconnected, open floor plans.